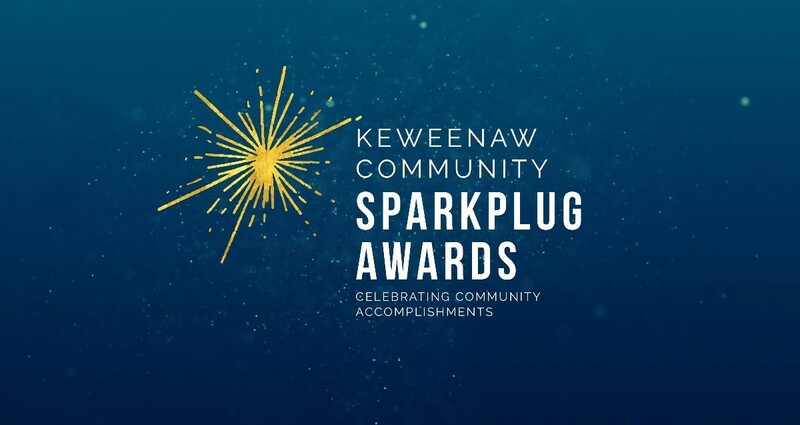 The Keweenaw Community Spark Plug Awards is a celebration that recognizes local businesses, organizations, community projects, and individuals for their efforts during the past year. Growth - Company that has seen significant growth in employment and/or sales during the previous year. Customer Service - Recognized by the community, other businesses, and customers for providing superior customer service. Innovation / Transformation - New or existing company pursuing new products or services that hold great promise for local economic growth and employment. Project of the Year – A high impact project that is notable within the community and will provide lasting benefits to businesses and community members. Young Professional of the Year - A person under the age of 40 who made significant strides in our community and in their profession in 2018. Community Contributor of the Year - A person who has made strides in the development of our community. 2018 Spark Plug Award Winners! 2017 Spark Plug Award Winners! 2016 Spark Plug Award Winners! 2015 Spark Plug Award Winners! 2014 Spark Plug Award Winners! 2013 Spark Plug Award Winners! 2012 Spark Plug Award Winners!